Yes, that was our week in summary. This is going to be a longer than normal post, so be prepared. In keeping with the B theme, I'll go over it... BACKWARDS. Happy Easter, everyone! Seems like our Easter Bunny hunter wasn't too thrilled to have snow again. She was out looking for evidence left over from the Easter bunny, which she usually eats (eeeewwww...!). 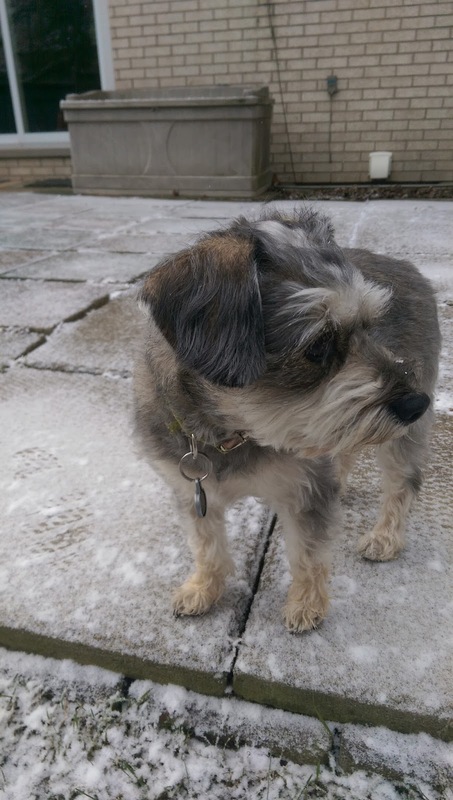 There wasn't much, but we had finally rid ourselves of the white stuff just yesterday! Maybe spring will come back this week. Yesterday, Wendy, Maddy, and I took a trip down to the Niagara area to hike. We parked at Brock's monument. 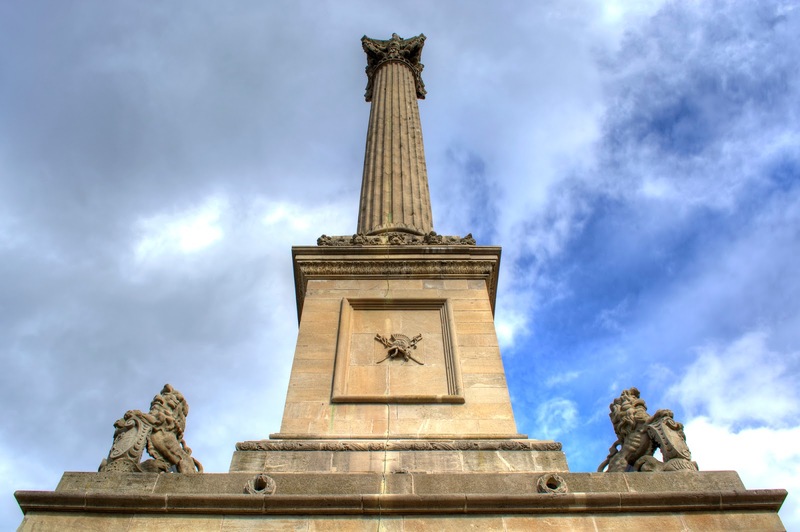 This monument honours Major General Sir Isaac Brock - who died at this site during the war of 1812. Although slightly cool with the wind, it turned out to be a nice day. 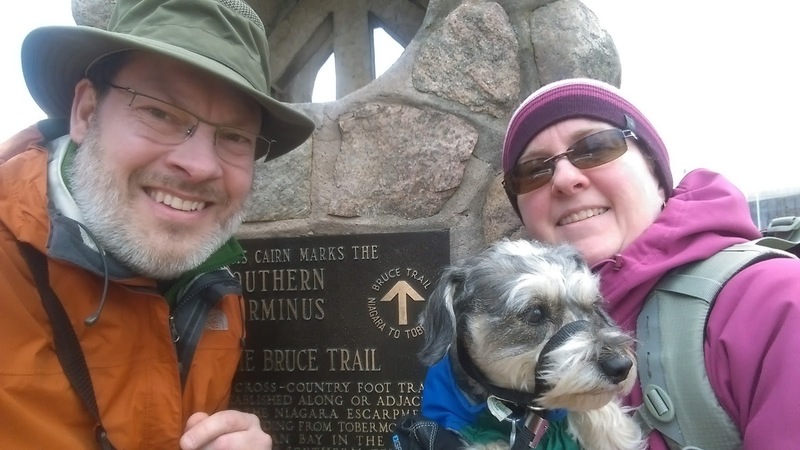 We were actually at this site because it is the southern terminus of the Bruce Trail (i.e. km "0"). Wendy and I will be tackling the Bruce Trail this spring and summer with several friends from Dundas. We aren't actually trying to do an "end-to-end" of the Bruce Trail (over 800 km), although it might be possible to do so over several years. The main idea is to get out and do some hiking with a specific goal in mind - we hope to approach the Dundas area by the end of the summer. We came down on our own this weekend mostly to check out the parking locations for the beginning and end of our first 'official' hike on the trails. We also wanted to get a sense of what kind of terrain might be involved. This can help in planning the hikes in the next few months. We only hiked the first 3 or 4 km then returned to the starting point. We will come down to start the first 7.5 km of the trail in a few weeks. This sign describes what the Blazes mean on the trail. We were excited to come across the first waterfall of the Bruce Trail somewhere around the 2.5 km mark. Don't get too excited - to give you a sense of scale... here is the waterfall with Maddy and Wendy. Not much, but it is definitely a waterfall! 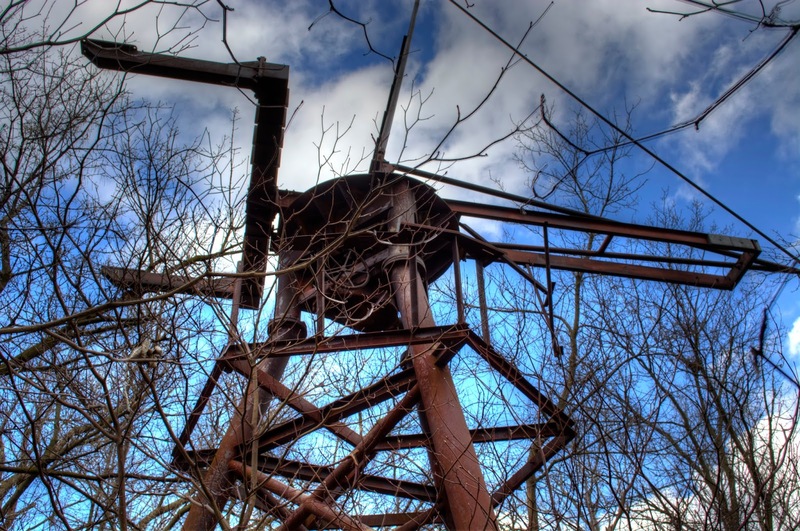 In the first few km we also came across this strange metal contraption that didn't have any obvious purpose or function. Not sure exactly what it was, but there was a post underneath it. Unfortunately for us, any plaque that may have been on the post was long gone. Anyone have any ideas what this is? 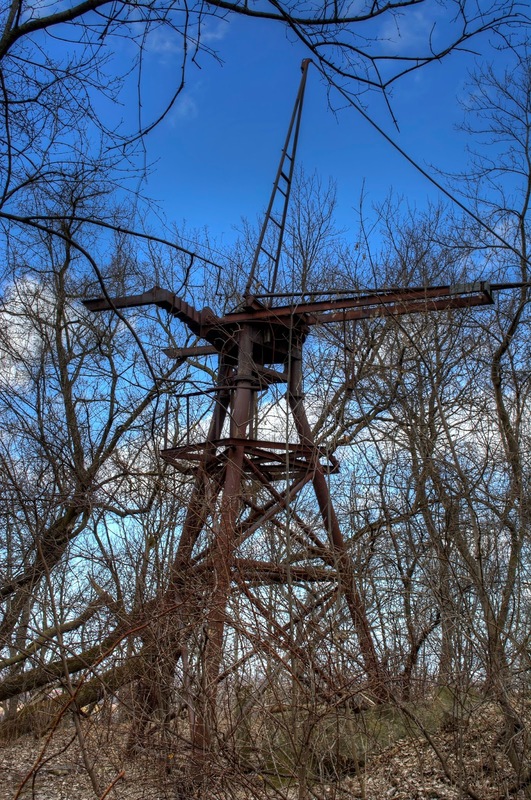 One idea I had was that it was an old piece of equipment from the apparently abandoned quarry nearby. The trail itself was quite level and without any major obstacles or big hills. However, it was almost uniformly muddy. A good portion of the trail looked like this. Maddy had fun. Also this weekend, we had family over for a combined Birthday party for myself and for Wendy's father. I didn't take any pictures, but a few others did and they will likely email them to me soon. Of course, when family comes over, the highlight for Wendy is always going to be the Baby! 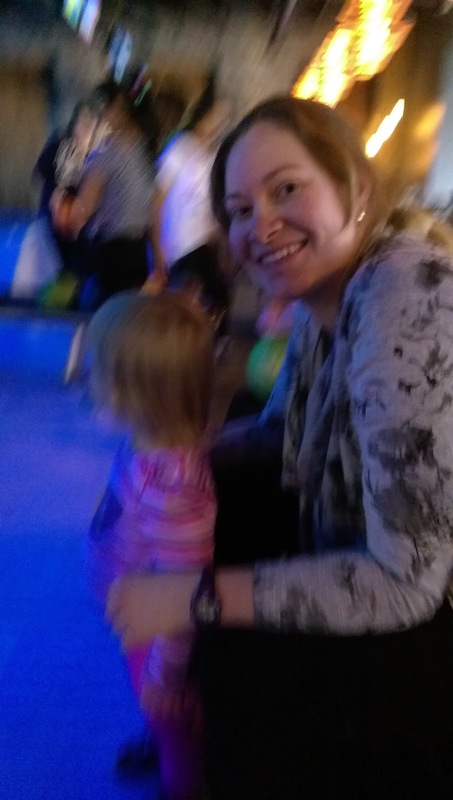 Our niece and baby attended the party, along with her husband and my sister from B.C. (oops, I think I missed an opportunity to continue the B alliteration on that one...). In addition, Wendy's parents and our friends Mel and Murray were on hand. During the middle of the week, Parker won a spot on the Junior Men's Badminton team. He has being trying out for weeks, and got a spot on the team for Men's singles (they also had doubles teams). He is happy about being on the team, and we are more happy that he is involved in something at school. Sorry, no pictures yet. 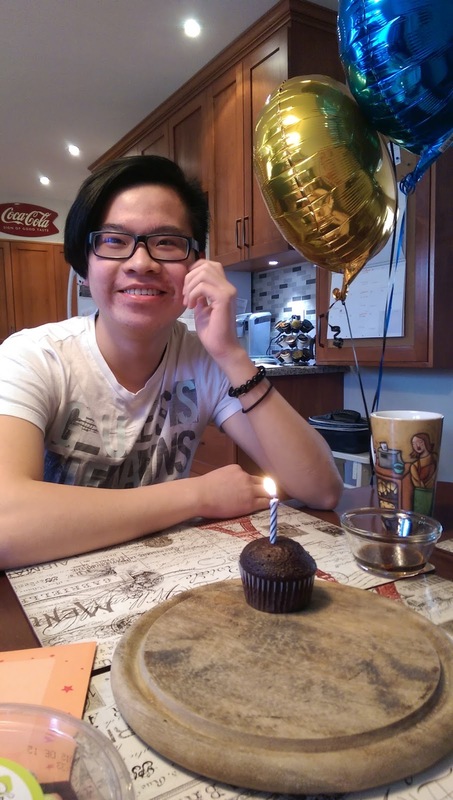 Stanley turned 18 last weekend, so we had a little Birthday celebration after dinner with some cupcakes. Stanley, the 18 year old. 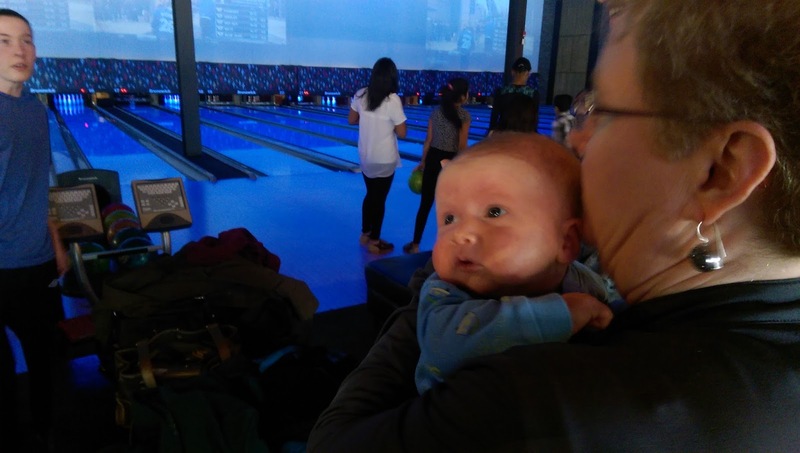 A week ago today, we drove to Cambridge and Kitchener area to visit the family and to go Bowling! Our niece had won a prize that included bowling for 6 and a $25 gift card for Boston Pizza (darn, another B I should have used!). The Boston Pizza is actually inside the Bingemans entertainment complex (Bingemans) in Kitchener. 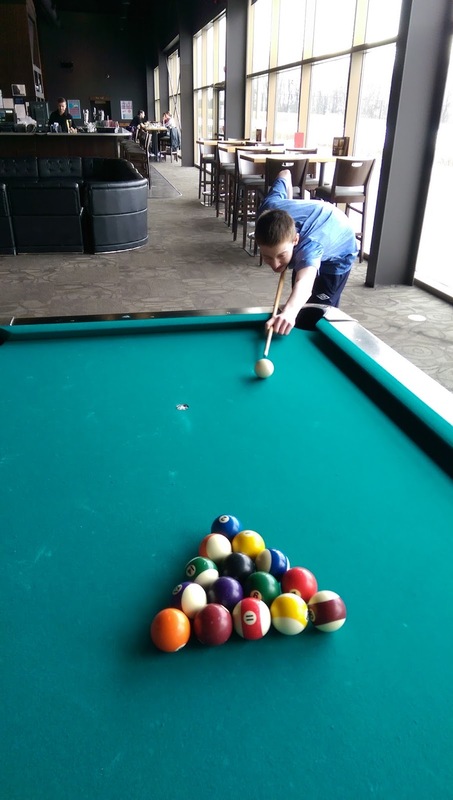 After a big pizza feast for dinner, Parker, Stanley, and Jacob went over to play Billiards. 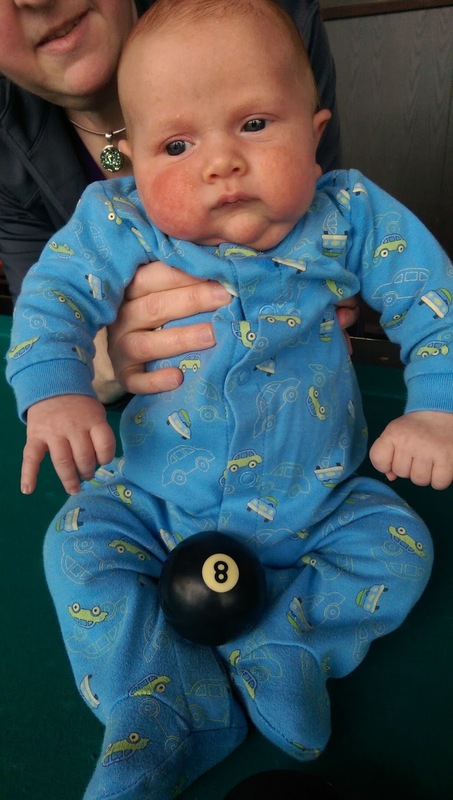 Jacob does't know what Balls are for yet, so he wasn't thrilled. Before dinner we did some 10 pin bowling. Below, Jacob was mostly interested in the lights and sounds... and believe me, there were lots of lights and sounds! 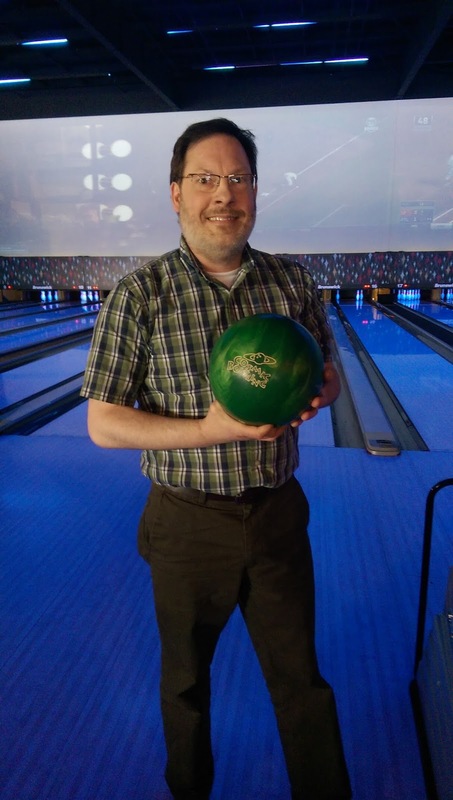 At least I was able to prove to everyone that I could lift a 10 pin bowling ball. Unfortunately, the putting it down part wasn't always as successful...or smooth. I definitely felt it the next day. My sister (from B.C.) is visiting to help with her new grandson. She probably bowled longer than I did! 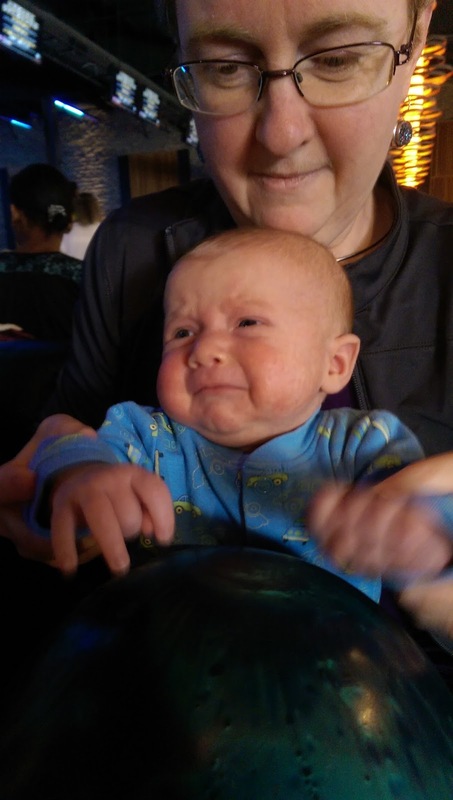 Jacob wasn't thrilled at all with the bowling ball. 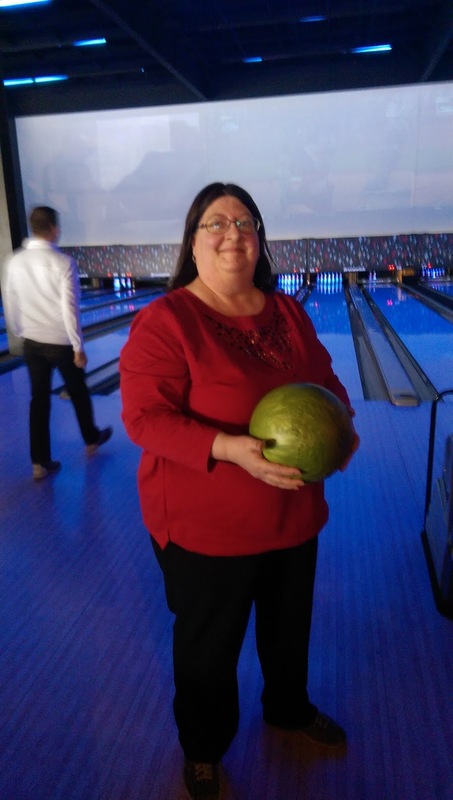 Wendy decided to sacrifice going to bowling so she could hold the Baby. I took this picture because I saw Stanley taking the same scene with his phone. 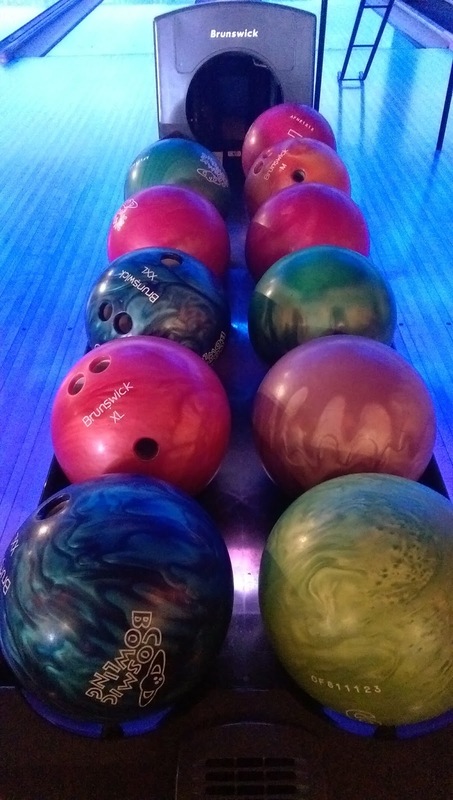 This image contains the final B of the post - Brunswick. Until next time - and don't worry, I won't do the B thing again!